EPC athletes have been racing hard all over New Zealand in the past few weeks and have been proving that they have been getting out and training hard. Well done to Milan Brodina of Gerldine who competed in the Teva Big Day at the Office. Milan had a good race in tough weather conditions and a strong field to take 12th place. See photo below of Milan out on the mountian run. Becks Darracott of Dunedin took on the Ashburton ½ Ironman as part of a team in her build up to Challenge Wanaka. Becks rode hard and completed the 90km TT in good time and her team took 6th place. Hannah Throne managed 5th place in a very tough field in the epic Bannockburn Gut buster MTB race. Hannah is now turning her attention to the South Island Cup race series over January. Nic McAre of Invercargill showed that her running is progressing well for the Coast to Coast when she put in a good run at the Luxmore Grunt. Nic ran strongly to place 9th Woman and 41st overall out of 150 competitors. Well done Nic. A big team of EPC athletes took on the Waimak Classic river race in their build up to the Coast to Coast. Charlotte Breeze, Bruce Ranga, Hannah Yeats and Scott Finnie all paddled in the race. Stories of kayak crunching rocks, broken rudder lines and shoulder injuries indicate that it was a tough day on the river. Well done to those who survived. Rosie Taylor ran well in the brutal 21km Goat mountain run to take 30minutes of last year’s time and take 4th place in the under 23 woman’s section. 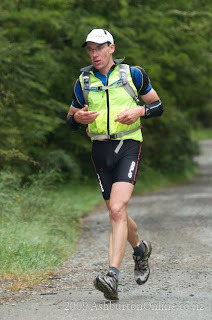 This race is held in the Tongariro National park and this year had terrible weather conditions. Well done to all of these athletes.